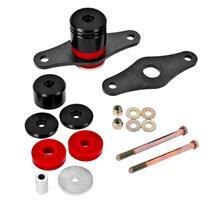 Replace your worn, torn, or broken 2005-2009 Mustang engine mounts with new motor mounts from Late Model Restoration. Worn out motor mounts can cause vibrations, jerking, and driveline flex which doesn't allow you to put all of your power to the ground. 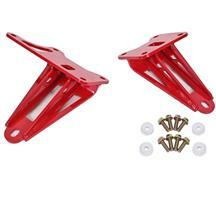 Install set of Prothane urethane, or Ford Racing motor mounts and get a stiffer, longer lasting mount. 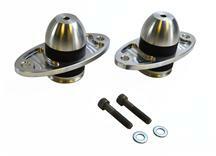 Get new Prothane Urethane 05-09 Mustang motor mounts at Late Model Restoration. 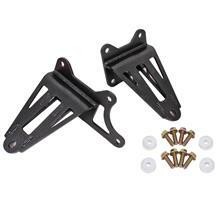 These mounts replace your stock rubber mount for a more solid, longer lasting mount.